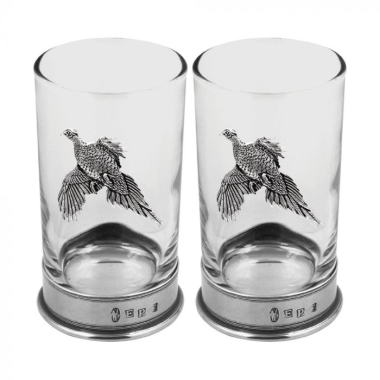 The beautiful British countryside is something which we at English Pewter Company think should be celebrated and remembered, and items like our elegant 8 ounce Double Pheasant Hiball Spirit Glass are our way of doing so. The 12cm tall glass oozes class thanks to its understated pewter base which also adds a satisfying weight to the glass. The real wow factor of this product however, comes from the intricate and unquestionably beautiful pewter pheasant that adorns both sides and gives it a truly stylish feel. 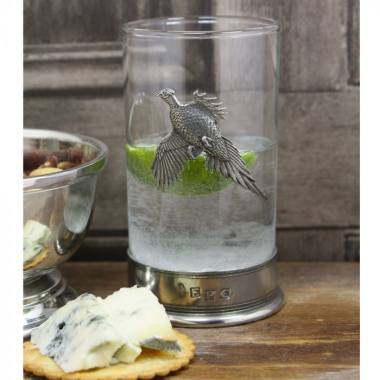 Lovingly crafted using high quality pewter, the item will not tarnish over time and is provided complete with its own elegant cream and black English Pewter Company box.